We lost a bright light last week – the light of the amazing Dr. Maya Angelou. 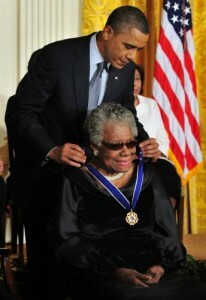 I have been a fan of Angelou and her work for decades. To me she was not just an inspiring poet and author, but a courageous leader. She overcame tremendous challenges in her life including trauma, racism, sexual abuse and loss. Despite the challenges, Angelou lived her life fully and left a great legacy of work including books, poems, and speeches. She was an inspiration to many. As her success grew as an author, poet and speaker she also faced criticism and censorship. 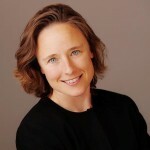 Her great work “I Know Why the Caged Bird Sings” drew criticism from parents who protested that she wrote too openly about topics that they believed would damage children. In fact, that same book is on top 10 lists of most frequently challenged books from 1990- 2009. But leadership is not just about pleasing everybody. In order to lead, you will ruffle a few feathers along the way, (including your own) since disrupting the status quo can disrupt people’s comfort level. Which brings me to my lesson learned. Several years ago, I had the great privilege to see Maya Angelou speak live and in person in Seattle. She read from her work and shared stories, humor and lessons for life. She was amazing. . While she was discussing the great virtues of life, she stated “I believe that courage is the most important of all the virtues. Without courage, you cannot consistently practice any of the other virtues.” She went on to declare that it takes courage to love. to be kind, to show compassion, to forgive, and to care. I was moved by her words that day and I continue to be inspired by that lesson today. We often look for safety in our lives, but safety is truly an illusion. Of course there are times when jumping in a foxhole makes sense. But even that foxhole is the worst place in the world to be when just one grenade lands in it. By looking for safety in our own leadership journey, we may keep ourselves from taking required risks. Safety really just keeps us from growing, from learning, from building capacity and from personal development. The world can be scary, full of risk and uncertainty. If we are going to fulfill our potential, then we may be wise and take Dr. Angelou’s advice and practice courage. Practicing leadership requires courage. We need courage to practice new habits, blaze our own trail, say yes to big opportunities, speak up, be true, ask for help or to try something new. We need courage to listen to difficult feedback or to engage in challenging discussions. It takes courage to challenge our own status quo, to move forward when we don’t have all the answers, to have faith, and to subject ourselves to growing pains. It takes courage to feel fear in every cell of our being and still take the risk to pursue our passion, our ideas and our goals. There will be times when people will try and tear you down, disappoint you, get in your way and maybe even ridicule you. Please keep in mind, ridicule is often just a manifestation of someone’s fear being directed at you. Differentiate between useful corrective feedback and nonconstructive criticism or ridicule. You may even have your own doubts and self criticism along the way. There truly is no safety. So while you are pursuing your goals and growing your leadership, instead of asking for safety, remember the great lesson of Dr. Angelou and practice courage. 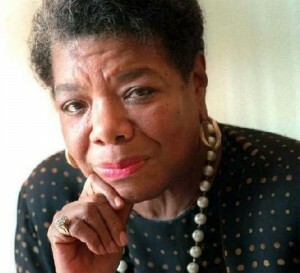 I am truly grateful for the life of Dr. Maya Angelou- her inspirational words, work and for her courage! Thank you for taking the time to read this article. Please share your thoughts in the comment section below. I wish you great happiness, learning and all the success that you can handle as you continue on your leadership journey. Very true. My favorite quote of hers was “When someone shows you who they are, believe them – the first time.” So often we try to make someone who we’d like them to be rather than believing who they are. Thanks for this Larysa. I love that one too! Thank you for reminding me of that great lesson and thank you for reading and commenting Valerie. Thanks Larysa! Thank you for reminding me on the importance of courage. I agree that courage is the most important virtue. A great idea without the courage to put it into action is nothing but a passing thought. I will strive to live each day more courageously! Thanks Lisa! Sending you courage to put more great ideas into action. I will work on putting some of my own ideas into action. Thanks for the words of wisdom. Thank you Larysa for underscoring that courage is a cornerstone for living a full, authentic and truly alive life – as always these reminders from you create a pause for reflection & alignment to what matters in life (after we have met the basic survival) needs. Beautiful note Boomer’s buddy. Our longings are more important than our fears. Wonderful and thank you for sharing. Great piece and acknowledgement of one of the icons of our time. I so resonate with courage and that without it we can’t live our dreams as largely as we’d like. Leadership does require sometimes disappointing others. Love the quote from Boomer’s buddy too. Thank you Sabina! I know that you know how important courage is in life. I am inspired by your courage! “In order to lead, you will ruffle a few feathers along the way, (including your own) …” I read this line a few time and then it hit me. Sometimes I need the most courage to face my own stories. Thanks for reminding me Larysa. Oh yes Rahel. Nothing like working to grow that can truly ruffle our own feathers. Thanks for reading and commenting. Keep being awesome! Larysa, great article and a wonderful perspective on courage! I am sharing with my team and know this will impact there thinking immensely! Thank you!